When the zombie apocalypse happens, make sure you are not caught out in the cold. 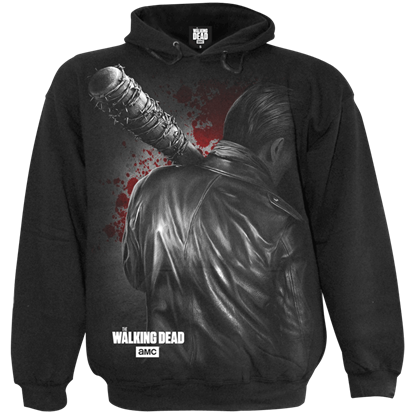 At Zombies Playground, we understand that zombies might feel a chill just like the living do, and so we offer zombie hoodies and jackets for the walking dead as well as living. 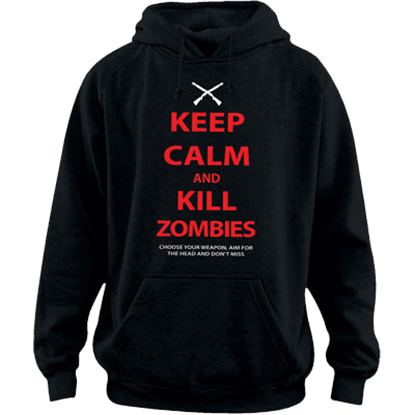 Some of the hoodies here feature bold zombie decals and logos that are perfect for survivors to wear in celebration of their allegiances, while others are impressive displays of zombie gore sure to delight any zombie enthusiast. 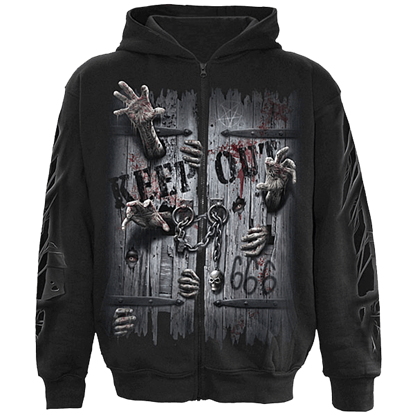 Like many of our garments, our zombie sweatshirts and jackets are available in different sizes, ensuring that anyone - even a zombie - can pick up something at Zombies Playground. Here's Johnny! These words have become somewhat famous as a way of introducing yourself, and in this Here's Zombie! 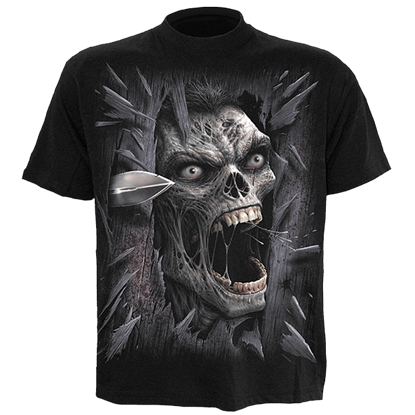 T-Shirt, the spirit and horror of this iconic phrase is kept alive, all while giving it a new, zombified look.